Southeastern Tank, Inc. provides more than just water tanks. 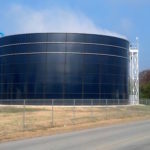 We deliver comprehensive liquid storage solutions that save municipal and industrial customers time, money, and headaches. 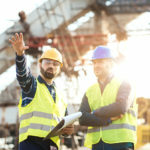 From initial design and construction to inspection and maintenance, our experienced team is with you every step of the way to ensure the product we deliver meets your specific application needs. 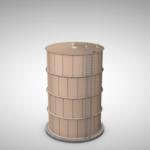 Using only the best materials available, our liquid storage tanks are built to last – and Southeastern Tank is there throughout their lifetime to ensure optimal performance. Every product designed and installed by Southeastern Tank is backed by rigorous research, construction, and quality testing. Given the complex and stringent regulations associated with the industry, our approach provides our customers with peace of mind. Not only are structures engineered for performance – they’re designed for convenience. 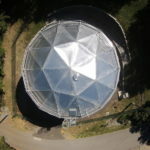 With turnkey liquid storage solutions, municipalities and industries fulfill application, compliance, and safety needs efficiently and effectively. 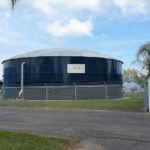 For more than 30 years - and over 500 installations - Southeastern Tank has been a trusted source for liquid storage solutions. While we transitioned in 1985 from agricultural to municipal and industrial applications, the bedrock on which our company was founded remains unshakeable: quality, safety, attention to detail, and exceptional service. Looking to start a new career? At Southeastern Tank, you get much more than a job—you become part of the family. We stand behind our employees as much as we do our products. If you’re not afraid to roll up your sleeves and get your hands dirty, we’ll teach you the rest! Find out more about what it’s like working at Southeastern Tank. We’ll work with your budget to find the right solution that satisfies your project needs.